Today I have a holiday card inspired by a beautiful one I found on Pinterest. I love this sentiment from Papertrey Ink's Instant Photo: Holiday stamp set, and I thought it would look really pretty heat embossed with white embossing powder. I inked over it with Tim Holtz distress inks in Twisted Citron and Tumbled Glass, and then used those same inks mixed with water to splatter drops across the card. Some Pretty Pink Posh Sparkling Clear Sequins, in a variety of sizes, finished off the front of this card. On the inside, I stamped another sentiment from Instant Photo: Holiday. 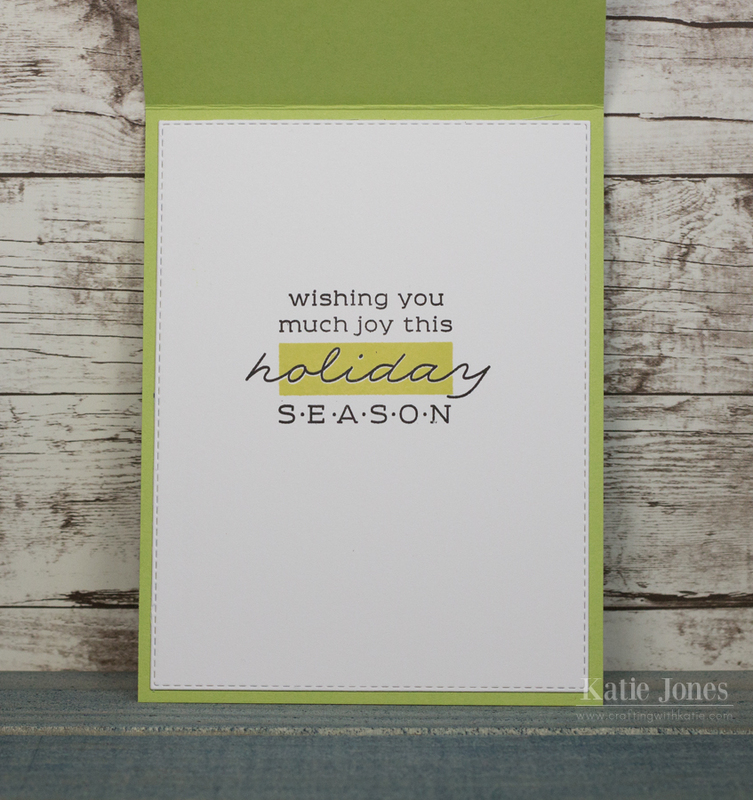 I really like the two step stamping that adds a pop of color to this one! Such a simple and beautiful card. I like the pop of color on the inside and that can be done with any stamps. Great card! Merry Christmas to you!! !